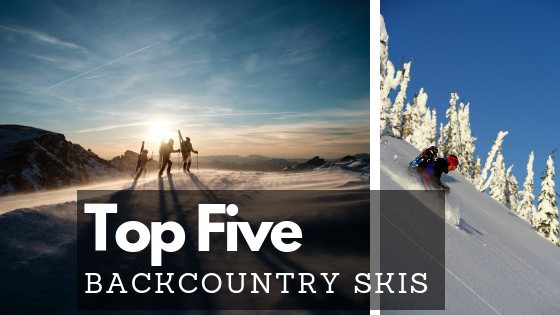 There are many places to go backcountry skiing in Truckee and Lake Tahoe. The I-80 corridor provides easy access to popular spots such as Castle Peak and Johnson Canyon. 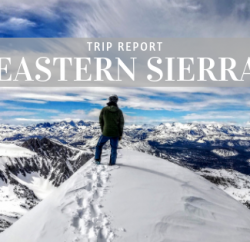 Mount Rose area has tons of touring options right in Reno’s backyard and Lake Tahoe’s west shore is home to tall mountains with unparalleled views of the lake and Desolation Wilderness. Adventurous skiers who want to spend the night at a backcountry hut are in luck. We have a hut system here that includes the Bradley Hut, Benson Hut, Peter Grubb Hut, and Ludlow Hut. 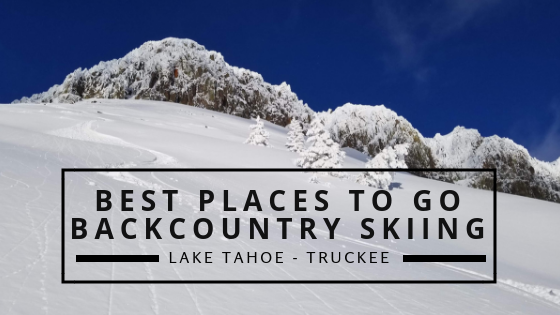 Check out our Best Places To Go Backcountry Skiing post to learn more about some of our favorite spots in Lake Tahoe and Truckee. Looking for a guidebook? 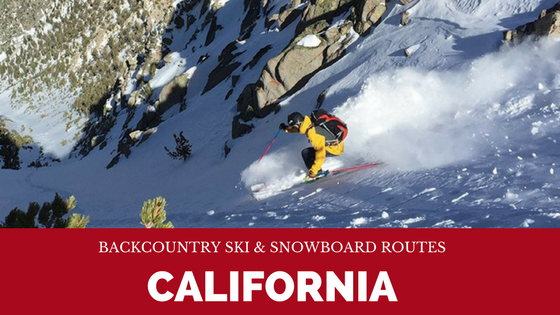 Check out Jeremy Benson’s Backcountry Ski and Snowboard Routes California. 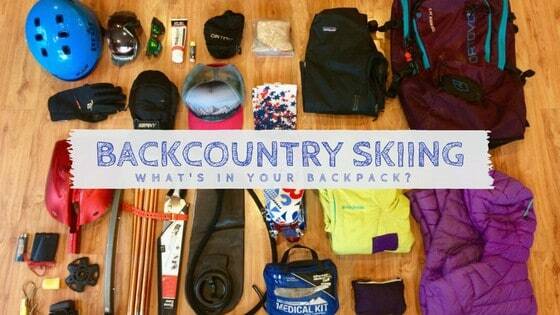 Backcountry skiing involves a LOT of gear. 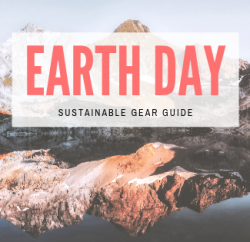 It can be overwhelming to sift through boots, bindings, beacons, skis, backpacks, skins and more… To help ease the process of gear hunting, we’ve compiled a list of our favorite gear this season. 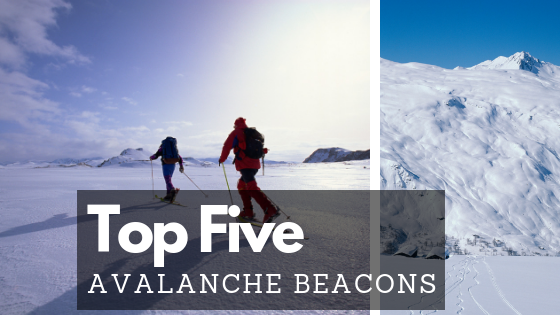 Take a look at our Top Five series below. Shopping for new skis has got to be the most fun part of getting a new backcountry setup together. I love picking each ski up, feeling it’s weight and flex, and seeing what creative graphics catch my eye. Our favorite skis of this season includes everything from wider all mountain tools to narrower skis for going light and fast. An avalanche beacon is a necessary piece of safety equipment that can save your life and your partners as long as you know how to use it and practice often. Make sure you also pick up a shovel and probe, one or even two if these items by themselves does no good. It’s all three, every single time. Almost all skiers have had a tumultuous relationship with ski boots, but this doesn’t have to be the case. Today there are many comfortable performance backcountry ski boots that have exceptional walk functionality while retaining stiffness and power for the downhill. 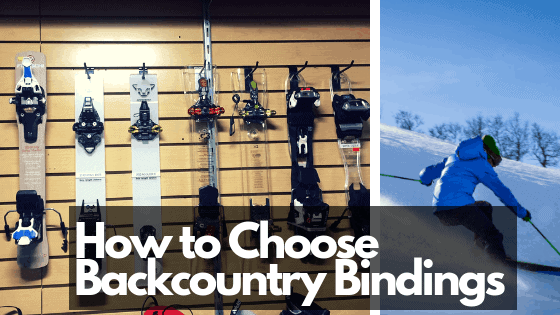 What Binding Should You Buy? Backcountry bindings are a nuanced part of the gear equation when you are starting to gather all the gear. The best backcountry binding is the one that suits your unique needs. It completely depends on how you will use your setup, what kind of skiing you intend to do, and what your priorities are when putting all the pieces together. 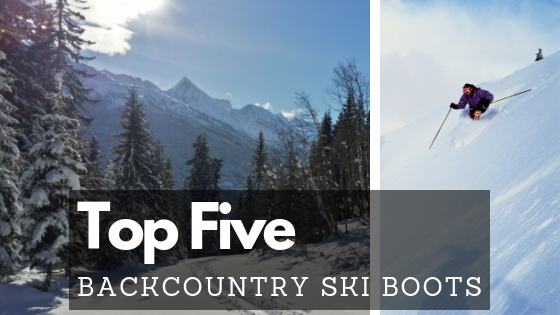 To learn more about this conversation, check out our How to Choose Backcountry Bindings post. Some of the most important gear is arguably what’s in your pack. You need to bring avalanche safety tools, ski gear, food and water, extra layers, emergency medical equipment and more. 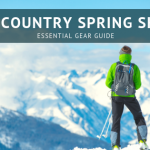 Take a look at our post, Backcountry Skiing – Backpack Review and Gear List to find out what you should bring with you for a day in the backcountry. 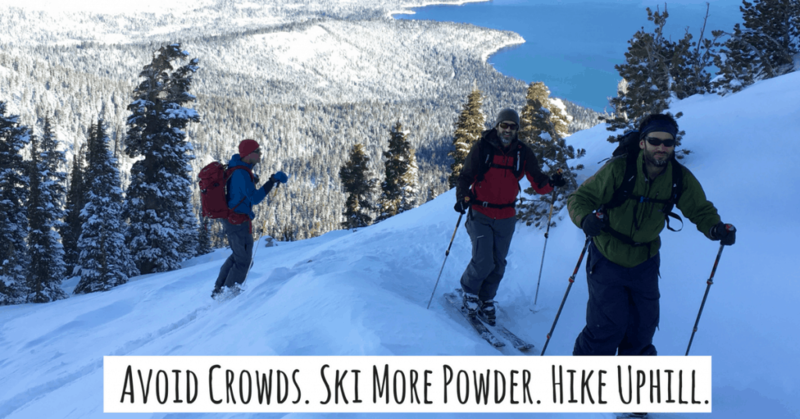 Backcountry skiing involves many risks so it’s important to learn how to travel safely in avalanche terrain and to check the avalanche forecast before you head out. Want to learn how to travel safely in avalanche terrain? Take a class with Tahoe Mountain School! They offer AIARE 1 and 2 Avalanche Education, Refresher, and Rescue courses. 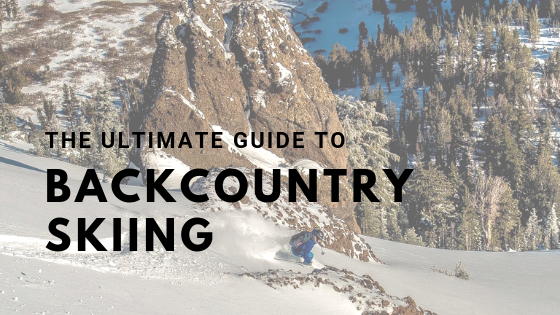 If you’re new to backcountry skiing or want to check out new terrain with an experienced guide, consider signing up for their backcountry ski courses or guided ski adventures. The Central Sierra Avalanche Center has tons of helpful resources for backcountry skiers, boarders and sledders. Here you can find the daily avalanche forecast and recent observations of our snowpack. Try it out! 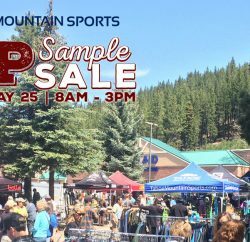 We rent backcountry skis, splitboards, backpacks, snowshoes, cross country skis and more at Tahoe Mountain Sports. Click the image below to learn more about our backcountry gear rentals.